UNB's FeelDog�is next up for the group's debut album trailers for 'Boyhood'. 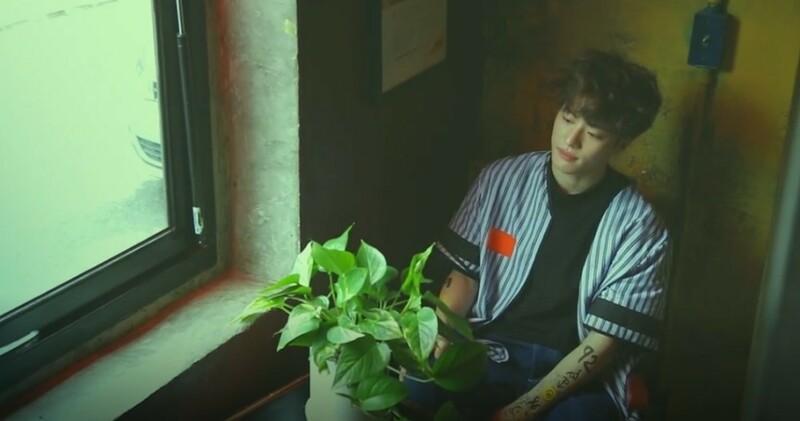 FeelDog is taking on a more mature vibe for the 'Boyhood' teasers as he stares at a plant he seems to especially like. As previously reported,�his fellow members�Kijung�took an innocent side,�Ji Han Sol�was a bad boy, Daewon�loved his fruit, and Marco drank his milk.